Being tanned is most likely the number one aspiration of most people in the UK. With the dull weather, clouds and constant uncertainty with what the sky may bring each day, Britons long for the sunshine, for the lush heat you feel on your skin on that perfect cloudless day. Not everyone has the opportunity to go away, or ever sees any other weather but rain; depending on which part of the UK you're in. But there are wayyssss ladies. There are WAYS! Unless you've been blessed with naturally tanned skin, you'll know that fake tan has always been the go to range of products to achieve a perfect summer glow without actually seeing the light of day! How bronzed you choose to go, is completely up to you (and, no judgement here) but there's a difference between getting a sunkissed look.. and going orange. 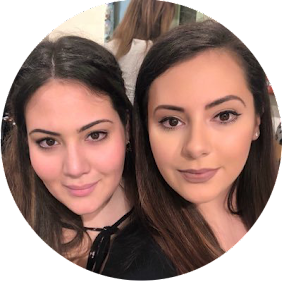 Luckily, myself and Kirsty are blessed with olive skin (although, we do actually go very pale sometimes) so we haven't always needed to whip out the tanning mitts. We also tan quite quickly, again, super super lucky; so even this gloomy english weather can give me a tan. When I am lacking colour however, I've always struggled to find decent products that don't make me orange/ don't smell like burnt biscuits/ doesn't go streaky. 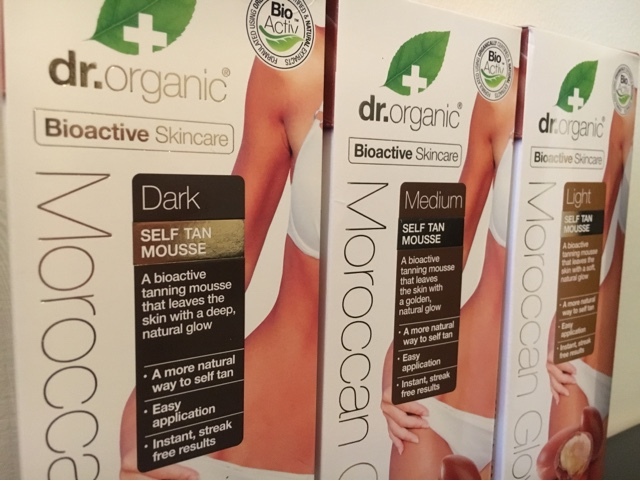 Dr. Organic Moroccan Glow range* has fast become my favourite self tanning product of 2016. It doesn't smell funky, it does go streaky and its buildable and available in three levels of colour; light, medium and dark. Dispensing as a mousse, the coverage of even one pump is quite impressive and slowly develops on its own to give you a unique bronzed glow. Once you're perfectly tanned, there are two more products you need in your arsenal in order to maintain and keep your skin looking its best with its newfound bronze shine. These products will extend your tan, keep your pins looking silky smooth and best of all, keep them hydrated! The Body Scrub and Body Lotion both smell like the Argan Oil Morocco is most famous for and are of lovely consistencies that really do make you look and feel like you've been sunkissed. The full range is available from Holland and Barrett for as little as £8.99. Which shade would you go for? What's your favourite tanning product? I'm stupidly pale and I keep thinking to myself "should I false tan?" But I'm so ridiculously pale I really do worry that even a light false tan will leave me looking tangoed!